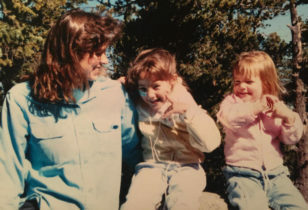 Finding “your people” as a new mom is one of the most important things one can do. Especially with the crushing sense of isolation that often goes hand-in-hand with newborn motherhood. 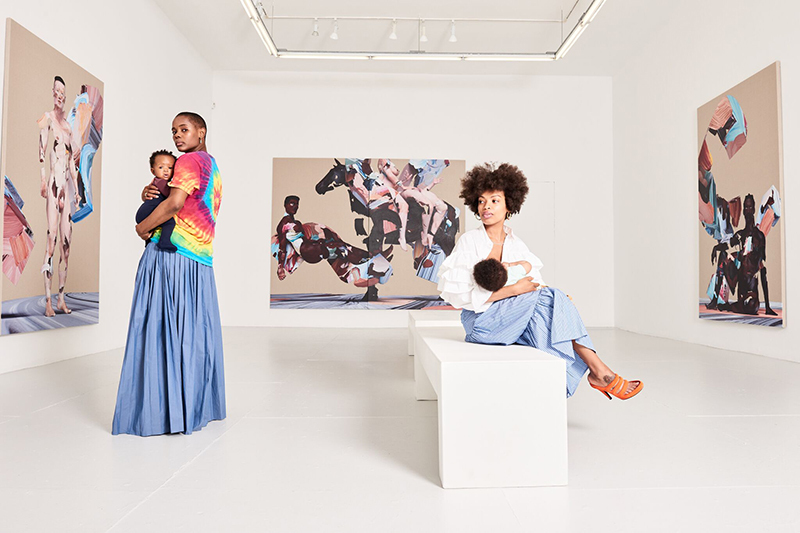 Two Brooklyn creatives who found solace in each other (especially when few of their other friends had children) are Lizzy Okpo—co-designer of the brand William Okpo—and multi-hyphenated artist Elise Peterson (whom we profiled late last year while pregnant). 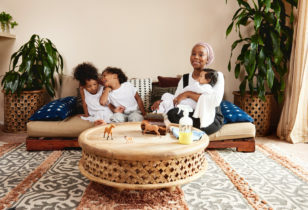 Old acquaintances who reconnected after they both gave birth in January 2018, the creative duo has now launched a podcast, dubbed Cool Moms, to help other women find kinship with fellow “women who make both their passions and parenting a priority.” The first episode, out today, features artist Zoe Buckman, and future interviews include a few of our favorite Mother profile subjects! Below, the super-candid mamas discuss all things Cool Moms, creativity, and new motherhood, with us. Were you both big podcast fans before starting your own? When did it occur to both of you that you wanted to do your own? How did you settle on the name Cool Moms? What defines a “cool mom” to you? Can you give us a sneak peek as to some of the women who you’ll be interviewing? How are you selecting your subjects? What’s your big dream for this podcast? You’re both creatives. How have you felt your creativity evolve, adapt, or shift after becoming a parent? What women do you both look up to or admire for their ability to “juggle” it all? What are your own tips and advice for having a baby, a creative life, a career, relationships, etc.? What have been both of your saving graces in the “dark ages” of the early newborn months? How have you felt your identity shift after giving birth? Is there anything that surprised you about the early newborn months? Something you wish someone had told you before? Where can folks find the Cool Moms podcast? For more on the subject of mom friends and great podcasts, check out our pieces on 10 Podcasts To Inspire, The Best Podcasts For Kids, 7 Podcasts Worthy of a Listen, and How To Meet “Mom Friends.”.